With comets very much in the news these past few days, following the spectacular success of the Rosetta mission, I’m been thinking some more about Caroline Herschel (1750-1848), the first professional female astronomer, and the subject of my 2011 novel, Variable Stars. Between 1786 and 1797, Herschel discovered eight comets - one of which (35P/Herschel-Rigollet) bears her name. There is also an asteroid (281 Lucretia) named after her, as well as a crater on the Moon (C. Herschel). During her long life - she lived to be 97 - she was also responsible for cataloguing over 2,500 nebulae, an achievement for which she was awarded not one, but two, gold medals. She fraternised with the most eminent astronomers of the age, and was described by one of them, the German astronomer Karl Felix Seyffer, as the ‘most noble and worthy priestess of the new heavens’. She was, in a word, something of a superstar. 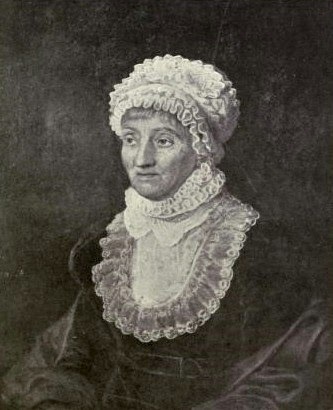 With so starry a C.V., it may seem surprising that Caroline Herschel is not better known, but in spite of her achievements, she remains a relatively obscure figure. The reason for this is not hard to find. For, remarkable as it was, Caroline Herschel’s life has been largely overshadowed by that of her brother, William - discoverer, in 1781, of the planet Uranus. As William Herschel’s assistant and amanuensis, Caroline might also be said to have contributed to this discovery, and to others that followed, such as the discovery of infra-red radiation. However, the fact remains that, when her existence is acknowledged at all, she is often dismissed as no more than a diligent ‘helpmeet’ - a facilitator of scientific discoveries, rather than a discoverer in her own right. A significant moment, no doubt, for the future astronomer. Fortunately, she recovered from the injury - whose effects, in those days before penicillin, were perhaps mitigated by the extreme cold. And those late-eighteenth century winters were very cold indeed. It was not unusual for the ink to freeze in the inkwell on Caroline’s desk, in the hut where she sat, each night from ten or twelve until three or four in the morning, recording the night’s observations. In spite of the discomforts (and occasional hazards) of her new life, Caroline soon became as enthusiastic about star-gazing as her brother. Provided by William with a purpose-built ‘sweeper’ for detecting comets, she began at once to find them. I paid Dr & Miss Herschel a visit 7 weeks ago. She shewed me her 5 feet Newtonian telescope made for her by her brother for sweeping the heavens. It has an aperture of 9 inches, but magnifies only from 25 to 30 times… being designed to shew objects very bright, for the better discovering any new visitor to our system, that is Comets, and any undiscovered nebulae. It is a very powerful instrument, & shews objects very well… The height of the eye-glass is altered but little in sweeping from the horizon to the zenith. This she does in 6 or 8 minutes, & then moves the telescope a little forward in azimuth, & sweeps another portion of the heavens in like manner. She will thus sweep a quarter of the heavens in one night. Your having thought it worthy of the press [that is, of publication] has flattered my vanity not a little. You see, sir, I do own myself to be vain, because I would not wish to be singular; and was there ever a woman without vanity? Or a man either? Only with this difference, that among gentlemen the commodity is generally styled ambition. Caroline was still only in her early forties. She was to live for another fifty years. For her work in producing the Index to Flamsteed’s Catalogue, she was to be made an Honorary Member of the Royal Astronomical Society in 1835 - one of the first two women to be so honoured (the other was Mary Somerville); although it would be another eighty years before Girton’s Annie Scott Dill Maunder would be elected the first female member of the RAS. Although she was never to marry, Caroline enjoyed close friendships with some of the most fascinating men and women of the age. She was a devoted sister, and an adoring aunt to her brother’s only son, John - who also became an astronomer, and whose cataloguing of the southern skies completed what his father and aunt had achieved in the northern hemisphere. So: it is time for Caroline Lucretia Herschel to come out of her brother’s shadow and take her rightful place in the history of science? I certainly think so - and I can’t help feeling that the extraordinary events of last Wednesday might never have happened at all had it not been for the pioneering efforts of Caroline Herschel and others like her - the unsung sisterhood of science. Well, she's not exactly unsung if we can research her! ;-) I wrote about her in my children's book on women scientists some years ago - indeed a fascinating woman! And it does help that William persuaded her and taught her the maths she needed to become an astronomer.